The TranzAlpine train is a scenic rail journey from Christchurch to Arthurs Pass and Greymouth passing though the Southern Alps from one coast of New Zealand's South Island to the other. From your carriage you’ll see the flat farming landscape of the Canterbury Plains, followed by the spectacular gorges and river valleys of the Waimakariri River, native alpine forests of Arthurs Pass - one of 3 mountain passes through the Southern Alps and the the native rain forests of the South Island's west coast. The TranzAlpine train travels west crossing the Canterbury Plains, ascending up through the Southern Alps to the alpine village of Arthurs Pass for a short break before descending to the West Coast of New Zealand's South Island, through lush alpine beech rain forests to Greymouth – a great base for visits to Punakaiki and the always popular glaciers at Franz Josef and Fox Glacier. Your journey is 223.8 kilometres long and takes just four and a half hours. There are 16 tunnels, and 5 viaducts, the highest being the Staircase standing at 73 metres. 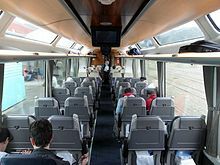 The TranzAlpine carriages have advanced air bag suspension system for quieter and smoother travel, un-tinted, non-reflective, panoramic side and roof windows to capture the dramatic coastal and mountain views of the magnificent South Island, GPS triggered journey commentary in five languages at your seat via headphones, plus information displays and overhead HD video and are centrally heated/air conditioned for passenger comfort. The TranzAlpine train has a café carriage offering a range of alcoholic and non-alcoholic drinks, snacks and light meals and an open air viewing carriage allows you to get even closer to the stunning scenery and provides many opportunities to photograph your favourite spots. There’s a lot to look forward to!. The TranzAlpine train is reserved seating 'One Class/Non-smoking' service. The TranzAlpine train connects at Greymouth with various bus services to Hokitika, Fox Glacier, Franz Josef Glacier, Punakaiki, Westport, Nelson, Wanaka and Queenstown. Combined train and scenic bus travel options is also available from Christchurch to Nelson and from Nelson to Christchurch. If travelling from Greymouth along the west coast down to Franz Josef, Fox Glacier, Queenstown, Milford Sound and Mt Cook/Aoraki or up to Punakaiki, Westport, Nelson and back to Christchurch, there are a range of suggested 'Flexi' bus/coach pass travel itinerary options available. The TranzAlpine train does not operate on Christmas Day - 25 December.